Tinuku ~ House of Rolls-Royce announced the Spring-Summer 2017 collection. 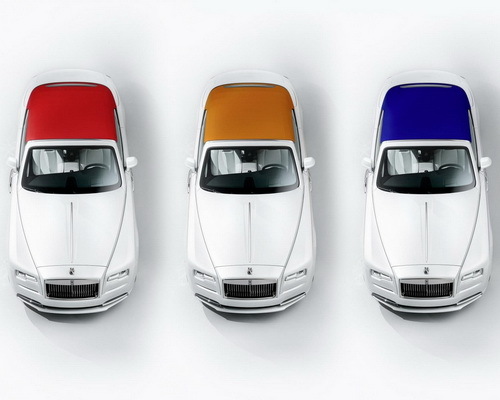 Signature stitch detailing to complement bright color palette of classic white Rolls-Royce Dawn inspired by fashion. 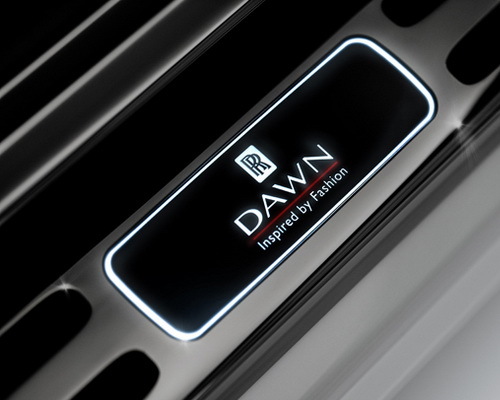 Rolls-Royce Dawn presents special edition inspired fashion by combining striking contrast with color of silk elements. 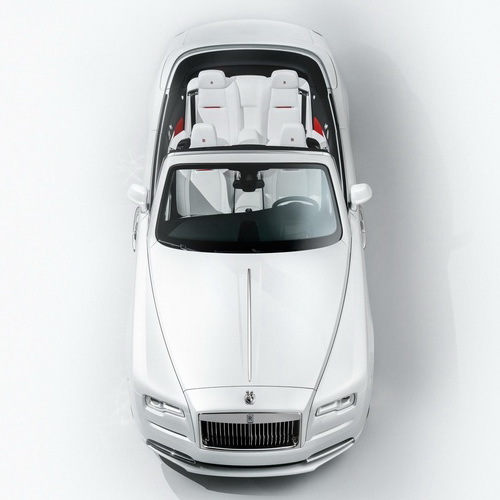 Special edition convertible takes its cues grandeur fashion, fine textiles and luxury accessories. 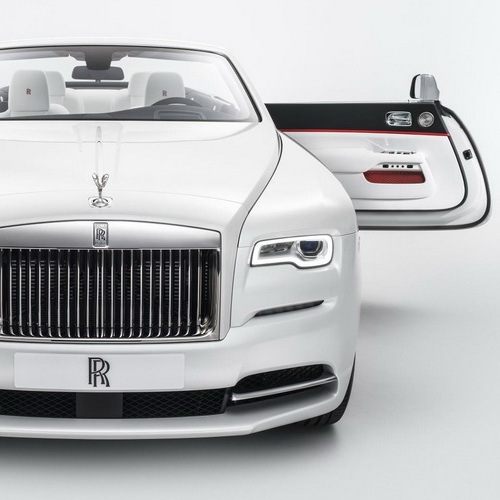 Rolls-Royce and the world of Haute Couture has long been bound by common philosophy by taking the best materials and crafts to the most beautiful luxury as users expression and lifestyle. A team talented designers departed from the fashion world to offer smooth textiles and luxury accessories including textile specialists Cherica Haye from the Royal College of Art and leather technologist Michelle Lusby who previously worked at Mulberry. The work combines silky smooth and unexpected texture to interior is really bold and distinctive to the most luxurious brands. Designers chose neutral white canvas underlying three bright colors implemented in Mugello Red, Cobalto Blue or Mandarin. 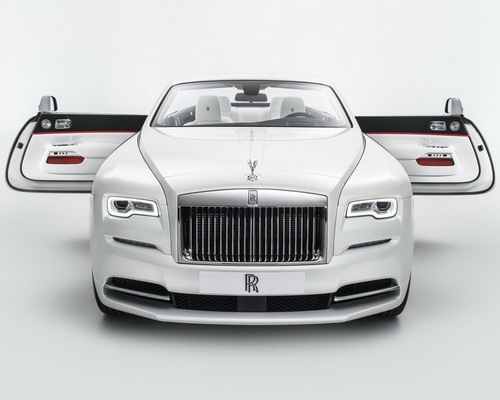 "Our clients are arbiters of fashion, tastemakers who sat in the front row couture and affect development of trend," said Giles Taylor, Design Director Rolls-Royce Motor Cars. "For them, luxury items is curatorial process involving various forms design, craft and serves inspiration. Dawn was inspired by the beautiful fashion that really expresses personal taste and lifestyle," said Taylor. Dashboard includes white piano accents with aluminum details and pointed to the front and rear door pockets in fine silk decorated with an abstract representation the Spirit of Ecstasy on each ballet emblem right on line of 55 degrees. Smooth and silky texture spell out every letter of brand coupled with exterior paint combining Andalucian White neutral deliberately chosen bright color along sides of the roof. 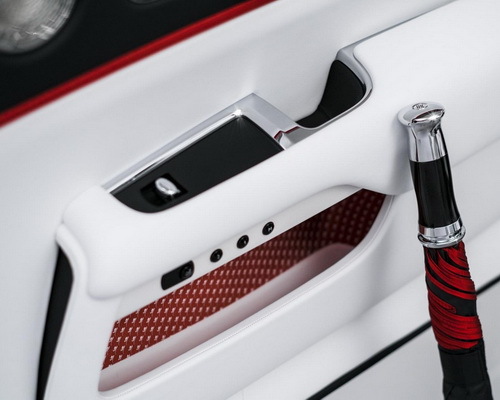 Subtle accents continues Arctic White theme and black interior color scheme.